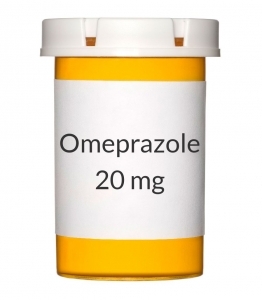 Omeprazole is a medication that is used to treat Gastroesophageal Reflux Disease (GERD). This is a condition in which the acid from the stomach flows back upwards causing heartburn. Did you know that it is one of the most widely prescribed medications? Omeprazole is available under the brand name Prilosec. Omeprazole works by reducing the amount of acid produced in the stomach. This medication blocks a certain type of enzyme that is needed for acid production in the stomach. Omeprazole falls in a group of drugs called proton pump inhibitors. This medicine is usually prescribed to patients suffering from GERD. People with GERD may experience heartburn that may injure their esophagus. Doctors may also prescribe Omeprazole to patients suffering from Zollinger-Ellison syndrome, dyspepsia, upper gastrointestinal tract bleeding, stomach and gastric ulcers. Remember that Omeprazole does not provide immediate relief to heartburn. You must take the medicine according to your doctor’s directions. Reading the instruction label on the package of the medication is recommended. Make sure you do not chew, dissolve, or crush the tablet. You can take the medicine with water or food, depending on your doctor’s instructions. Don’t take more or less than the prescribed dosage. If you suspect an overdose, get immediate medical attention. You can call your local poison control center for assistance. Omeprazole can increase the risk of bone fracture in patients above the age of 50. If any of these side effects persist or worsen, get medical help immediately. Excessive usage of Omeprazole over a long period of time can weaken the stomach lining. It is recommended that your doctor is aware of your medical condition and how you are responding to the treatment. HealthWarehouse.com is a leading online pharmacy where you can buy Omeprazole.